The never-ending quest for the best mixing and mastering plugins is back again, only this time we’re searching through the freebies. We scouted through many polls and forums to look for what the audio engineering community has to say about freeware mixing and mastering plugins. 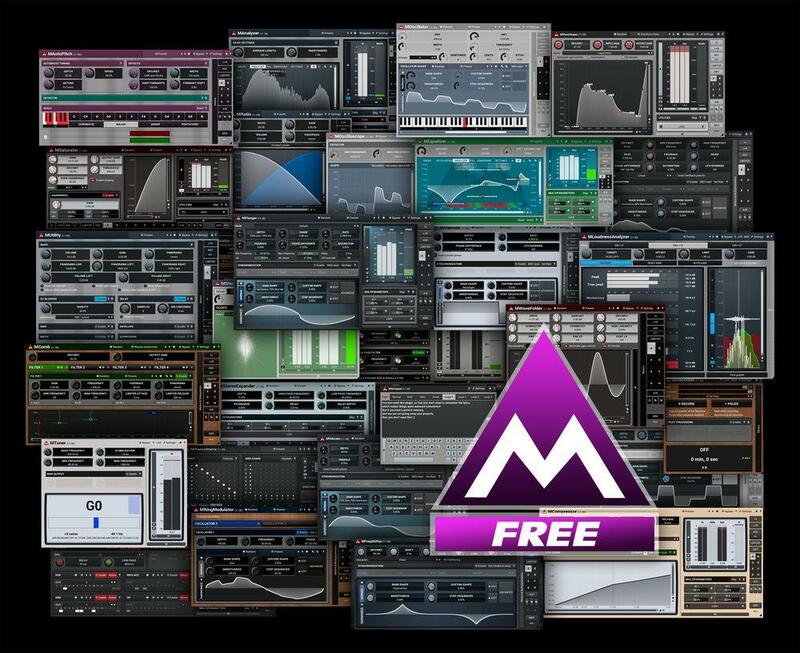 So here is our top 10 list of the best and brightest freeware mixing and mastering plugins in no particular order. One of the most important aspects of proper mixing and mastering is monitoring. Both audible and visual. This is where Loudness Meter 2 by Youlean comes in to play. 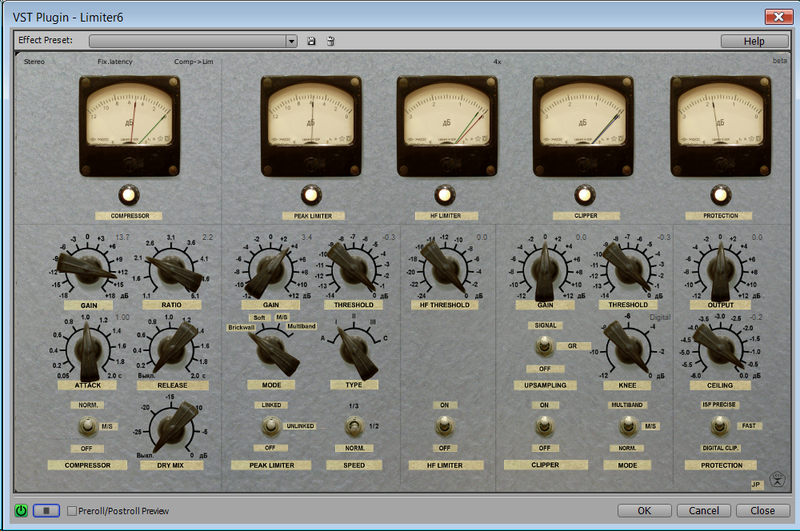 This is a freeware loudness metering plugin featuring four metering modes (LUFS, LRA, DR and true peak). It is a must-have visual tool for every producer and mixing engineer on a budget as it will help determine the proper amount of loudness without sacrificing the sound quality and dynamic range of the track. Compared to V1, it has a better-looking GUI which is resizable with reduced CPU usage and is more stable than the previous one. 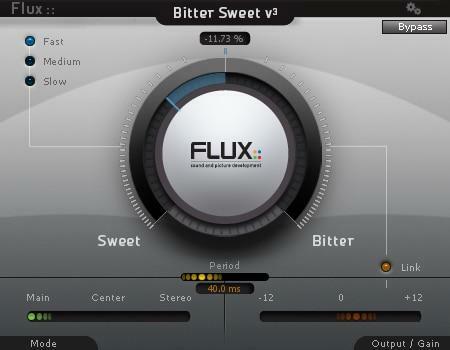 FLUX is a very well-known company with amazing high-quality plugins respected by many audio professionals. Bitter Sweet is their freeware audio sweetening tool. Basically, this is a tone and transient shaper plugin which can make your individual tracks go from biting hard to silky smooth. 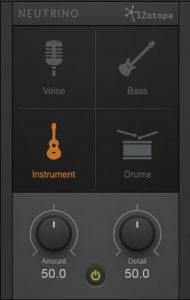 The UI is very simple to use and it features a large knob for controlling the amount of the desired effect. By going to the sweet side you get very smooth transients and a silky tonal character, while going over to the bitter side you’re getting much more pronounced tonal characteristics and more aggressive transients. A must have for anyone working with percussive and rhythmic materials. We already talked about this plugin in a previous post about the best free VST plugins overall but we’re going to give it some more attention here again. This is a Windows only plugin but even so it’s very special. Yes we know that there are many other free “mastering” buss compressor plugins out there, and sure they all give you that kind of final touch and glue to you mixes, but in all honesty MSI Stereo Buss does it better than most others plain and simple. For what it does and the fact that you’re getting it for free, it really is the best one out there at the moment. 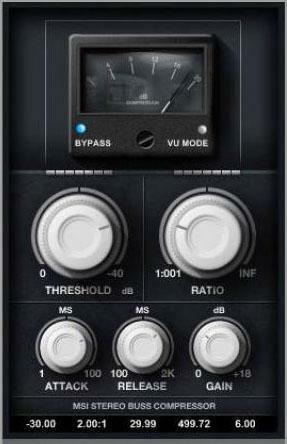 Voxengo are very well-known among the freeware VST users out there and they’re highly praised. Everyone needs a good plain simple spectrum analyzer for metering and in all honesty you really can’t beat Voxengo here. It is our favourite spectrum analyzer overall and it beats many analyzers out there that are paid-for. You can control the ballistics and response of its graph which makes it flexible enough for a wide variety of tasks. You can even route multiple tracks into SPAN and compare their frequency content. 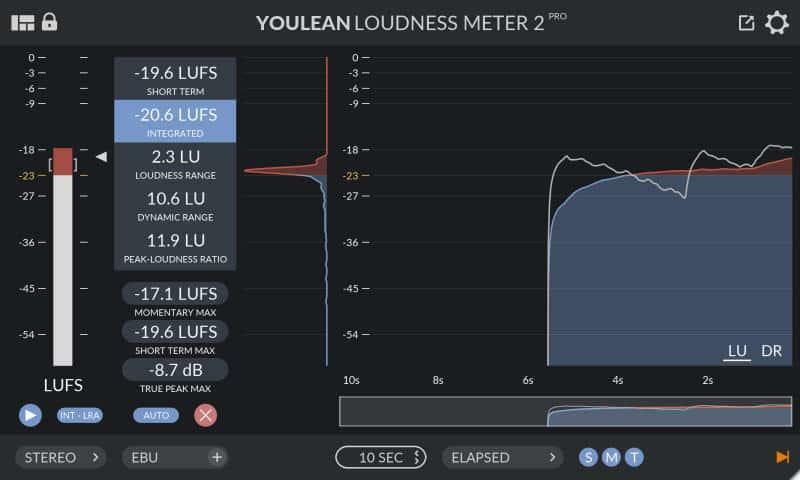 It is a great addition to YOULEAN Loudness Meter 2. Everyone needs to have Voxengo SPAN in their collection. This is not an official collection but mainly our own pick of various freeware plugins by the amazingly talented people at Brainworx. bx_solo is a powerful tool for working with M/S because it features the legendary M/S technology from their bx_control V2. bx_subfilter is a subharmonic content processor. Basically it shapes your sub content and adds more oomph to your signal with body and punch. Highly recommended if you’re into EDM and trailer music production. bx_cleansweep is an extremely powerful Hi/Lo-Pass filter using advanced Brainworx technology. We’re re-visiting Wider for this list also as we have nothing but high praise for it. This is a simple freeware VST plugin that widens your stereo signal with a very unique ability to broaden the stereo width of the signal without causing phasing issues when played back in mono. You can’t make it simpler than this because Wider features only one control parameter and that’s it. The slider affects the amount of stereo processing, but be careful when pushing it too far though because too much stereo widening can make your track sound as if it doesn’t exist in the same space with others in your mix. Treated carefully, this plugin is one of the best stereo wideners while keeping your mix compatible with any type of playback system. iZotope’s Neutron plugin bundle features a very unique technology and they scaled it down in order to present us with Neutrino, which is a freeware version with limited options. Even though it is limited compared to the full-blown Neutron, you can still achieve amazing results with it. Neutrino tames undesirable resonances caused by poor room acoustics, cheap gear, and heavy-handed processing. 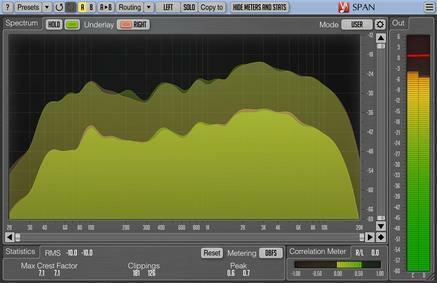 iZotope calls this effect “spectral shaping” and it can sound similar to gentle, low-ratio multiband compression. The GUI is very simple to understand and use because it features only two knobs for controlling the effect and 4 buttons for selecting the sound source you are working with. This is a rather cool and useful mastering plugin packed with features. Combined with the previously mentioned YOULEAN Metering and Voxengo SPAN, you get a free mastering power tool. Limiter No.6 features 5 separate modules mostly known as gain stages. A compressor followed by a peak limiter, high frequency limiter, clipper and the protection module. The Protection module ensures that your output of the signal doesn’t go into clipping. Each module is controlled individually and you can turn it on and off separately. The plugin has a certain character when pushed hard but it produces a warm pleasing output. It’s a no brainer if you want to own one. MeldaProduction are well-known for some great plugins and they have earned their keep in many pro audio engineers’ plugin collections. This bundle contains 30 completely free plugins which span from bread and butter tools like compressors and EQs to some not so common effects like ring modulator and oscilloscope. If you’re starting out your path to becoming an audio engineer, or if you’re a student with no budget this is a must-have for you. This is a rare sight to see when it comes to freeware plugins. 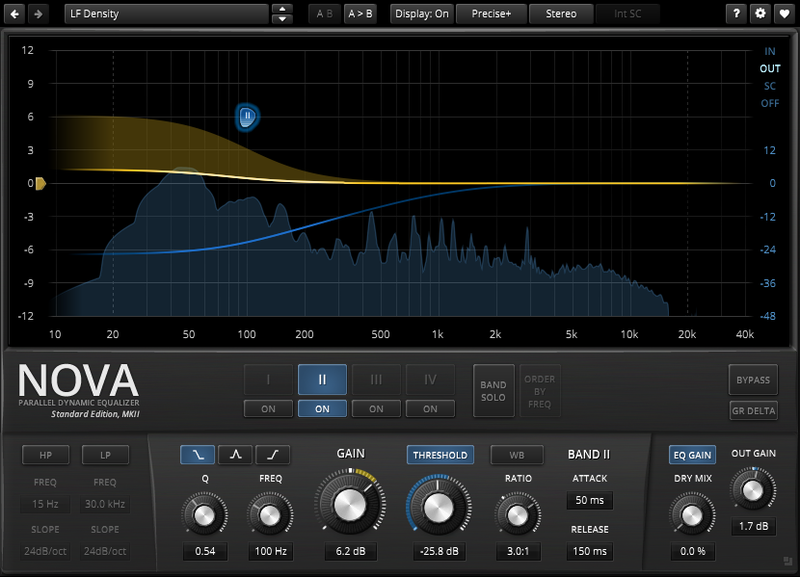 NOVA EQ is a real Swiss army knife when it comes to fixing those problematic frequencies. It is very easy on the eye with its rather sleek looking GUI. Each EQ band features a dedicated dynamics section which allows the EQ to cover a wide range of frequencies. The sound is very transparent. What are your favourite free mixing and mastering plugins?